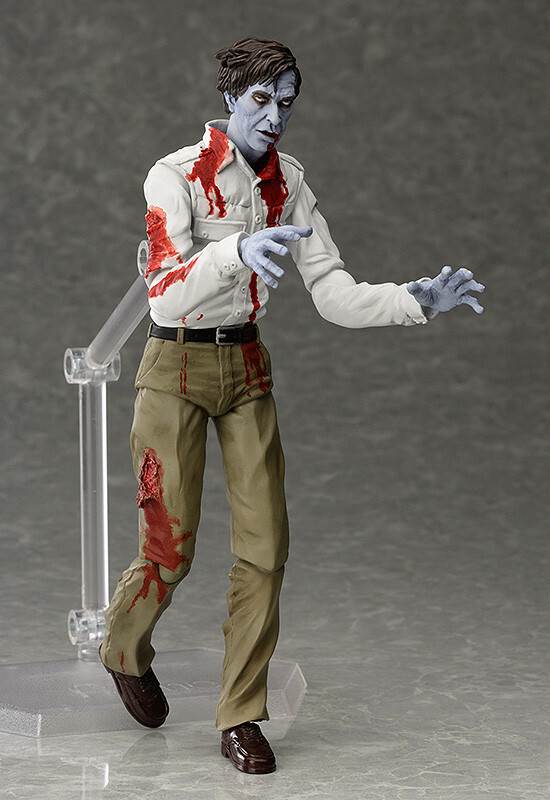 From the legendary zombie horror film, 'Dawn of the Dead' comes a figma of Stephen's completely changed form! 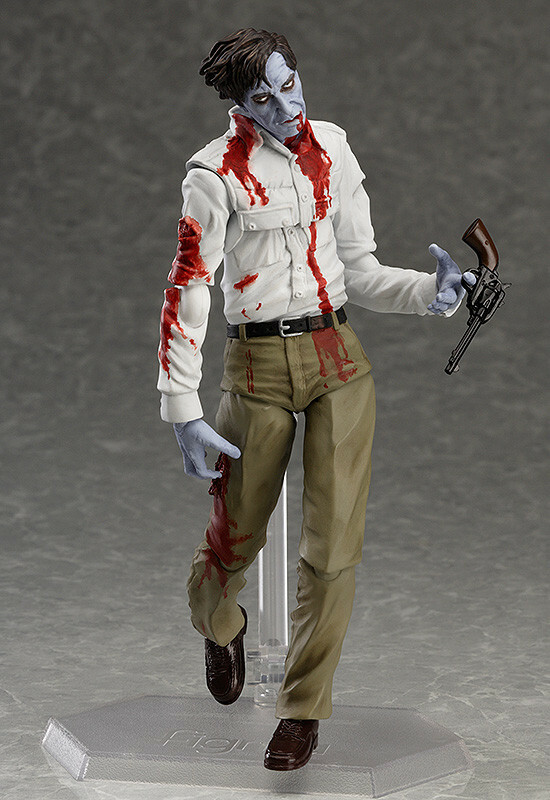 The unique coloring of the zombie body has been faithfully preserved in figma form. 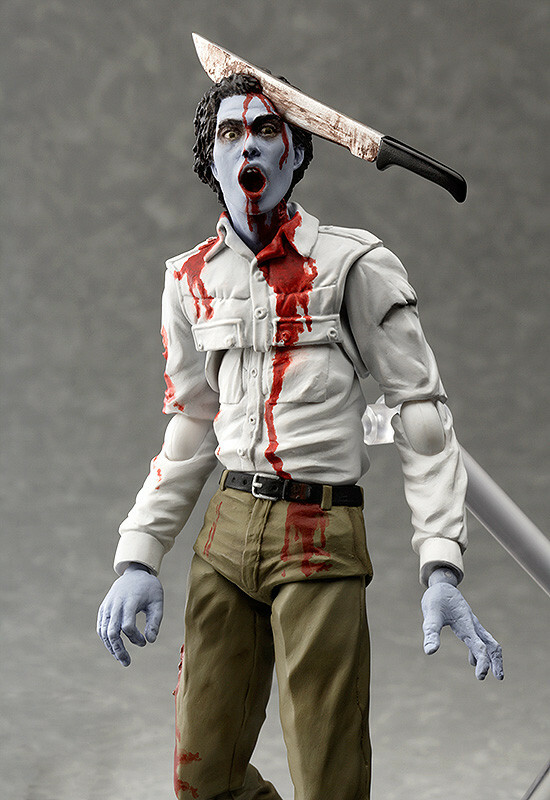 Using the smooth yet posable joints of figma, you can act out a variety of zombie action scenes. 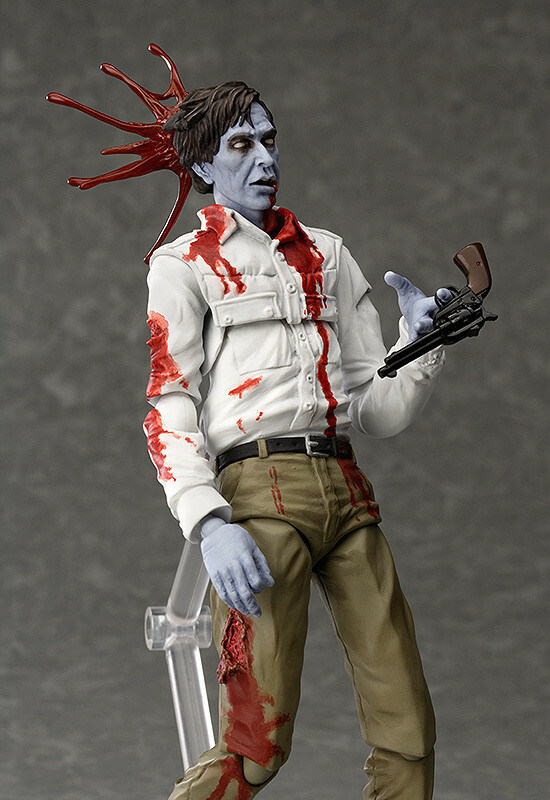 Along with his standard expression, he also comes with a damaged expression with blood spray parts and a head part to recreate the 'Machete Zombie'. 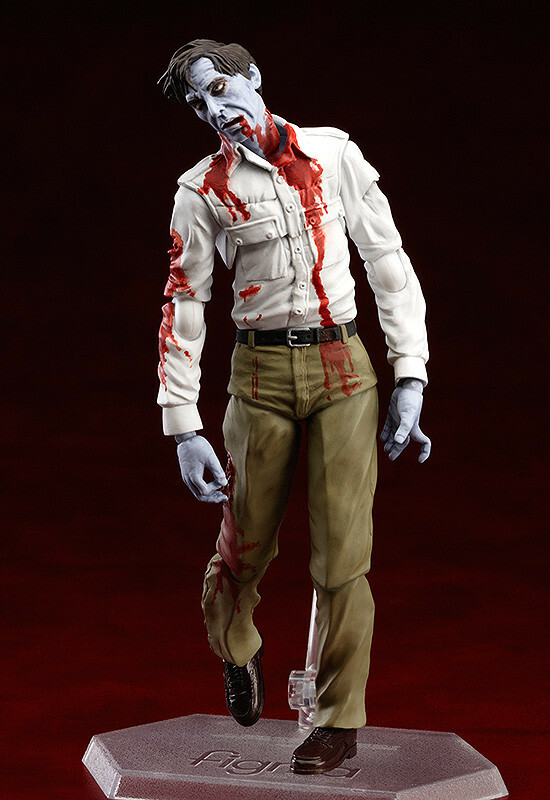 The blood spray parts can be removed and attached to arms or legs, allowing you to pose him as if limbs were torn off.